Slideshow module as the name suggests provides functionality for creating and publishing dynamic slideshows. Let’s take a look at the main tools and panels provided in this module, as well as how to use them to create a nice looking slideshow. In the middle of the screen you have the main working space. You are already familiar with it from the other Lightroom modules. The modules panel on the left hand side contains Navigator, Template Browser and your Collections panels. You can use them to choose images and templates for your slideshow. 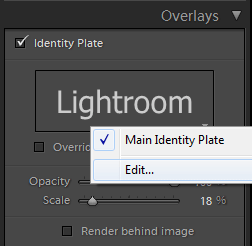 On the right hand side of the Lightroom Slideshow Module you find a set of panels to modify templates, edit and align the text that will appear on your slideshow; as well as playback settings. At the bottom, just above the already known Filmstrip, you’ll find Playback Control buttons. Creating a slideshow using the Lightroom Slideshow Module is a fairly simple and intuitive process. Basically it boils down to just a few basic steps of choosing images, adding title text and setting playback options. The variety of options is you have to perform the above steps is rather wide though. Lightroom offers you quite large space for your creativity. So, let’s go through the whole process from the beginning to the end. Choosing images for your slideshow. The easiest (and most intuitive) way to choose what images to use for the slideshow is to create a collection named let’s say Slideshow Projects. Then right-click it and choose Create Slideshow within that collection (make sure that you are in the Slideshow module). When an empty slideshow is created, navigate to the Library mode and start choosing your images from existing folders and collections by clicking and dragging them to the new slideshow collection. You can either arrange the slide folder yourself or let Lightroom arrange them randomly. To do this you need to choose Playback – Random Order in the right panel. After your photos are selected and arranged it’s time to select a template for your slideshow. You can do this in the left side panel called Template Browser. When all the basic modifications are done, you may want to set a text title, add some shadow behind your images and apply some other refining to your slideshow. That’s where the right hand side modules panel comes in to play. By default slideshow title says Lightroom. You can either edit it – clicking in the right side panel will offer you that option, or disable it by un-ticking the Identity Plate checkbox. In the same right hand side Lightroom Slideshow module panel you can set a background image, background color and title for each image. When you are done with images, titles and visual appearance options selection it’s time to work on playback settings. 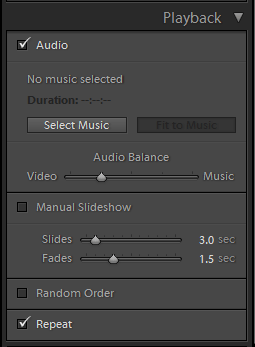 Using the Playback panel you can set slides transition and duration options. Using the same panel you can add soundtrack to your slideshow as well. After finalizing this you can preview the slideshow by clicking the Preview button on the bottom of the right hand side panel. If you want to share your slideshow, you can export it as a video or a .PDF file. To do this click one of the respective buttons on the bottom of the left hand side panel. You can also save your slideshow as a template, or just its settings as a slideshow collection to reuse it later. To save a template in the top menu click Slideshow – New Template (or click “+” in the Template Browser), give it a name and click Save. The template will be saved in the User Templates section. In the Library module, select your photos. In the Slideshow module, select a template and specify your settings. Click the “+” icon in the Collections panel and choose Create Slideshow. Type a name for the slideshow collection in the Create Slideshow dialog box. Choose a collection set from the Set pop-up menu to add the collection to an existing set, or choose None. That’s about it. 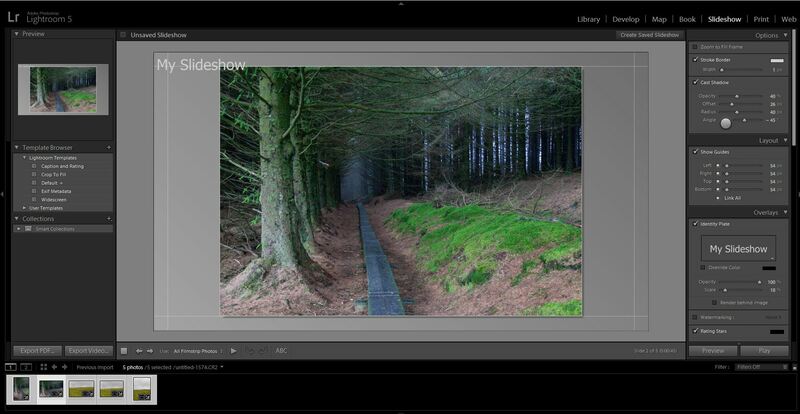 Now you can create a slideshow using the Adobe Lightroom Slideshow module. If you would like more detailed explanation of some workflow steps or if you have any other questions; please feel free to let us know in comments.